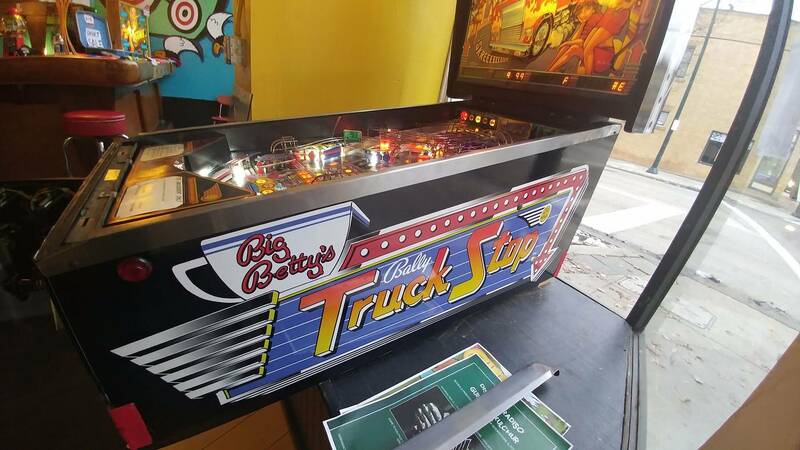 I'm looking to sell or trade Truck Stop. It has new side art decals and LEDs in the GI. One digit on the display is messed up. These are davideokills's all time market stats. I love that super hot girls are totally into truckers. side art looks really good. Didn't know anyone even made art for this game. and props for your sale for doing GI's with LED's correctly and keeping them white. I put a little color under the ramps but I like whites because other colors don't throw the same and actually illuminate the playfield. Bump for a clean game with dirty graphics. I don't know why this game is such a tough sell. I get a lot of "my wife will kill me if I bring that home". I think this was the point that hyper sexualizing games took a turn backward. Bally was able to get away with a lot through the 80s but by the 90s that seemed to fade. Sweet looking game. This would look pretty good in my gameroom. 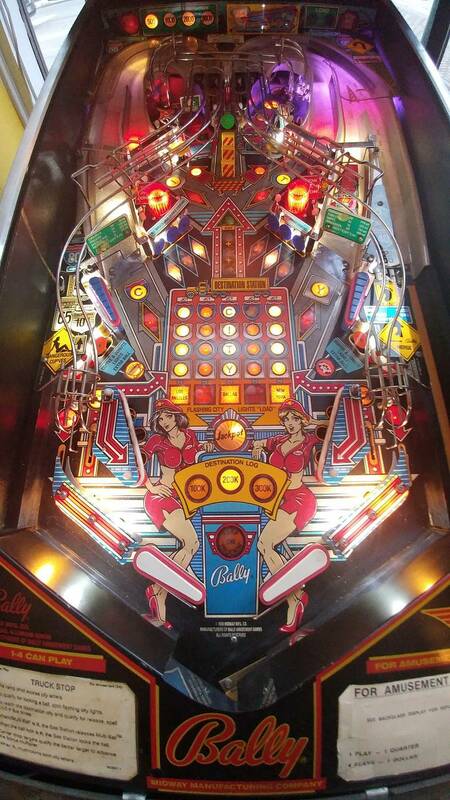 hmmm..
if you were closer, i'd buy it because I like that era of bally and never played one. I love my atlantis. I love mine - been playing the heck out of it lately. Between that and BM66. Different games for sure but BBTS is fun! I completed restored mine. Stripped mylar, repaired all the light boards. New flipper mechs (times 4!). 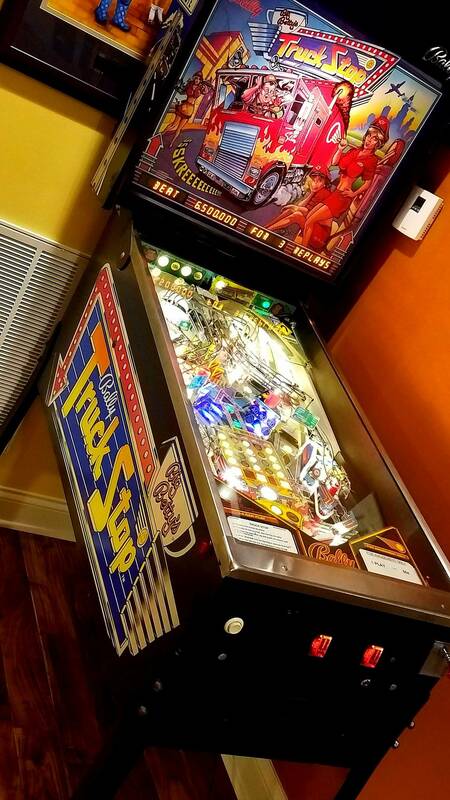 New translight, new flipper cab switches, new mushroom bumbers, repainted all the insert keylines by hand, added a playfield protector and about a million other things! Bump for a fun game! I had a really nice one and sold it 2 years ago. Had it in my office. And the theme fit my trucking biz perfectly! The shipping to CA is what kills it for me OP. Unless you can work with me on the price? This is a great game! Getting to the Jackpot round and winning it gives you a real feeling of satisfaction in this game. Underrated! fattdirk Lets make a deal! Piperpinball I'd like to but I have too much into the game to drop it more. you get out of here, he didn't say anything about hilton. i'm just kidding. I really shouldn't be buying anything right now anyway. I need to keep my rupies for when my remaining zacs show up. Playing your Atlantis is what convinced me it's a great game. that Truck Stop is or atlantis is, a great game? Your Atlantis, it was dialed in well. 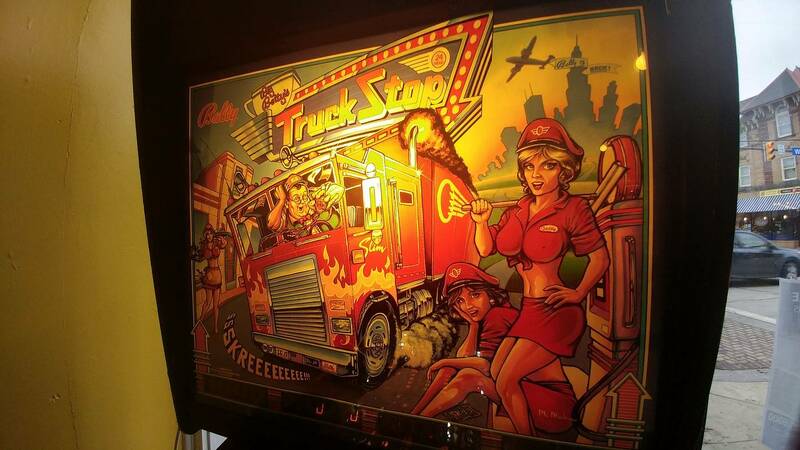 Trust me, if you like that era Bally you will like Truck Stop too. Had both, miss both, BIg Betty and Atlantis. I would ship this in, but added expense kills it for me. FYI, she will always be Big Betty to me, one of my first. 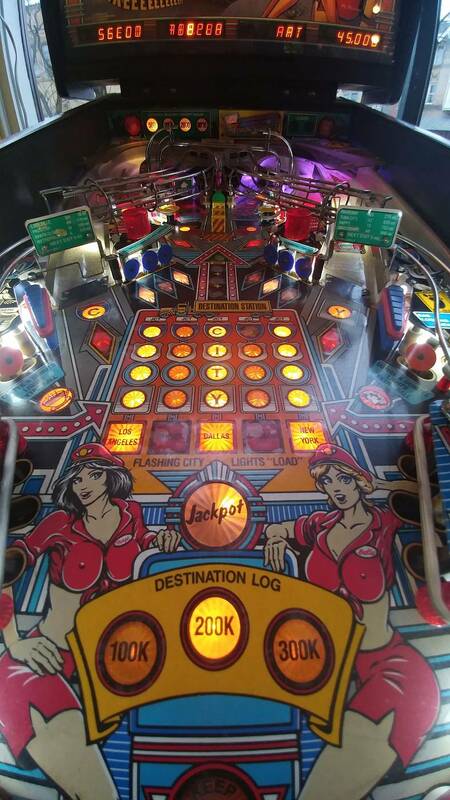 Sorry, but if this post is fire....I think this era of pinballs are the worst games ever made. Some aspects are noticeably cheap. Particle board cabs, single bulb backglass lights, ect. This game and Atlantis are on the edge where things started to get better into the system 11 era. truck stop and atlantis are kind of in their own era, as they are not like the bally's before them. At this exact moment, Williams bought Bally. They were using up inventory that was on hand when they made these 2 games. Hence why they are half system 11's. It was on the cuspis of the system 11s. At this point, you start seeing more complex rules and better flowing layouts. You need to play one playing correctly. A dialed in Atlantis plays fawking awesome and a great fawking game. It's a top 12 of all time for me. I like Atlantis but the extra ball suacer is too easy. you can adjust it in settings.